Turn Your Company into an Amazing Workplace That Generates High Morale, Tremendous Loyalty, and Increased Productivity! Looking for a way to improve your work environment and bring out the best in every one of your employees? Wouldn’t you like to have more of the go-to leaders in your organization that you currently turn to when your typical corporate emergency happens? We can help you develop more of them as you bring out the existing but unseen leadership potential in your workforce. For the small investment of only $50 per employee per month, you can make a dramatic difference in your workplace environment. Fill your company with high-performance leaders who are proud to leave their “signature” on their work. And when new hires arrive into that kind of culture, they will naturally want to fit in and do the same. You’ll improve employee productivity, engagement, and retention as well as attract high-caliber new talent. And as a result, your company will be known as one of the best places around to work. The six monthly packages (each containing 1 leadership book and 4 audios) are conveniently shipped directly to your office or to each participant’s home. These materials provide just the right amount of new information and principles every month over an extended period of time in order to facilitate deep understanding and lasting change in your employees and forever transform your workplace environment. The course also includes optional tests at no additional charge so you can monitor the progress of individuals while encouraging employee participation and group discussion. Get plugged into leadership training that will make a difference in the success of your business. Click HERE to get started. 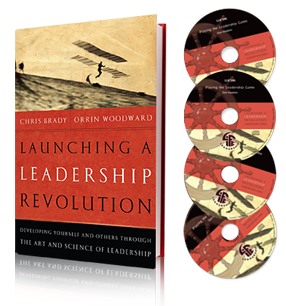 PreviousPrevious post:Leadership Soft Skills: The Secret to Professional AdvancementNextNext post:“The Leadership Landing” reaches over 178,000 hits!